June, 2005—A Special Word for Tim Sawatsky . . .
September, 2001—Hamstra and Dyer: on to bigger, better, and heavier aircraft! As many know, it's been very exciting around the School this summer as we've learned of Dave Page's departure as a result of his acceptance of an offer to fly Medevac in a King Air out of Moosonee, Ontario. We had a chance to give him a decent fairwell, but of course we continue to miss his presence—that boy had the best lunches! After his seven-year association with Langley Flying School, I must say it has been a pleasure to work with Dave—an excellent communicator with a keen eye for detail, and of course a great stick. As we at the School know very well, Dave has launched the flying careers of many students over the years, and while we will of course miss him tremendously, we are excited for his prospects in what will no doubt be an exciting career. 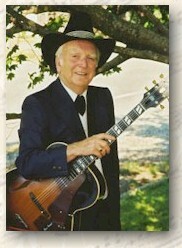 It is with sadness that we recently learned of the passing of Don Moore. Don was as avid pilot and a graduate of Langley Flying School. He began his pilot training in February of 2002, and obtained his Private Pilot Licence under Flight Instructor Rita Methorst on August 2, 2002. Don was awarded a very impressive score of 95% on his Flight Test by then Pilot Examiner Donn Richardson. This score reflects the meticulousness and attention to detail that Don demonstrated as a pilot, but we at Langley Flying School remember the shear love and excitement that Don expressed for flying—in this regard, he was unrelenting. While our hearts go out to Don's family and friends who have had to endure his sudden loss, we have all been touched by Don's unrelenting love of life and in this regard he will continue to be a source of inspiration to us all. Dave Hamel passed on October 7th, and for those of us who knew him, he was a giant of a human being, and a great pilot and Flight Instructor. Our thoughts and prayers go out to his family and loved ones. And while we are saddened with Dave's passing, we all feel a profound sense of celebration for the accomplishments Dave achieved in his lifetime. Dave was successful—personally and professionally—in both music and professional flying--what are the two greatest fields of human endeavour. Dave had the great ability to connect instantly with the people he met. He always left you with a meaningful message, as if it were his unsaid mission in life to provide kindly advice to others in an attempt to better their experiences. "It almost got to the point that whenever I say Dave coming into the school for a visit, I'd be dashing about trying to locate my notepad, just so I could write down his flying and flight instruction comments," says Chief Flying Instructor David Parry. There are many who were touched by Dave, and we shall never forget him and the gifts he gave to us. Many pilots have posted comments regarding Dave in his dedicated AVCANADA forum—for those who didn't know Dave personally, these will provide a good measure of this gentlemen and his contribution to flying. So long, Dave—we won't forget you! We have been planning, it seems for years, to get a viable on-line booking system for the Students and Instructors, and this finally came to fruition recently, thanks to the programing efforts of Brandon Hunsicker. Access to the display is linked off the Main Page, and includes a snapshot of the current day's schedule, as well as long-on access to both Instructors and Aircraft bookings for a three-month period. If you're not using the system already, know that any Instructor can set up your user name and password really quickly. Only first-name information will be presented for privacy purposes—see your Instructor if you have any questions. On behalf of all of us, a special thanks to Brandon for bringing us into the 21st Century. to express our gratitude for the patience our students have demonstrated, especially in late July, and we look forward to expanded training operations in the coming days. A special thanks for the folks at Valley Aero Engines. Langley Flying Flight Instructor Peter Waddington recently created quite a stir on the School's ramp when he arrived unexpectently earlier this week. It was only Peter's second solo flight in the Nanchang. 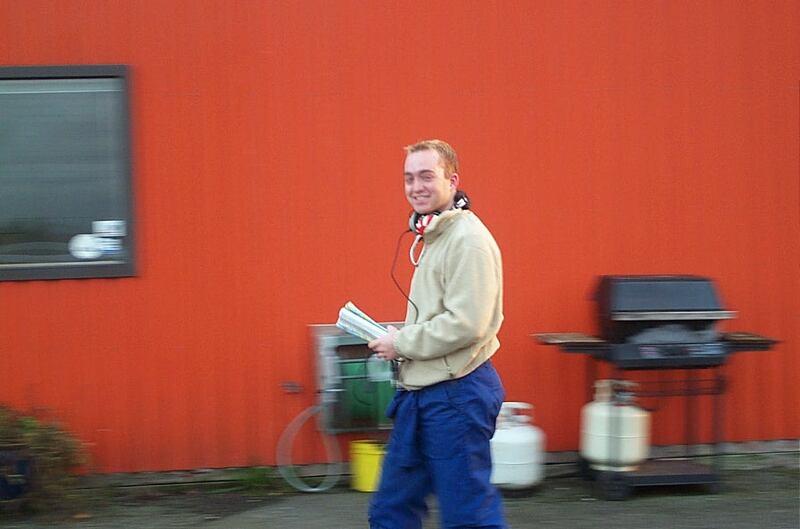 Pete had planned only to do some circuits at Abbotsford airport, as well as flight maneuvers in the practice area. "I just felt comfortable with the aircraft," said Pete, "and I thought I might as well come into Langley." The Nanchang was designed by the Chinese People's Liberation Army Air Force in the late 1950s as a pilot training and features outer wing dihedral, flush riveting, an a pneumatic systems for gear, flap, brake operations, and engine start. 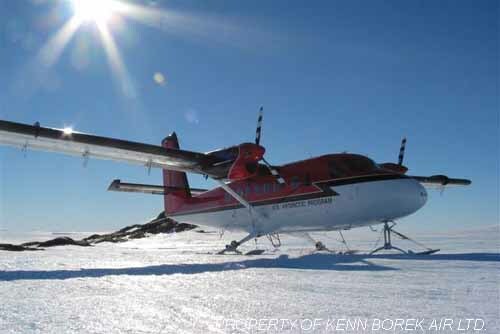 Peter purchased the aircraft in late 2006 with pilot partner Brian Nosko. Langley Flying School Commercial Pilot graduate Kale Haley has been offered a pilot position with the Canadian Airforce. The announcement came earlier this week, and Kale is expecting his Basic Officer Training to begin in the very near future. Kale completed his Commercial Pilot Groundschool in the Spring of 2006, and successfully completed his Commercial Pilot Flight Test later that summer. There was celebration at the Larkin house last week in response to the news that Sean Larkin was promoted to Captain of the Piper Navajo PA-31-350 Chieftain with Canadian Air Charters. Sean has been with CAC since September of 2006, and his flying duties have primarily be centered around moving time-sensitive cargo between Vancouver International Airport and airports in the B. C. interior and up the coast. Sean’s check flight occurred last Thursday during flights between Vancouver, Kamloops and Williams Lake with CAC Chief Pilot Darcy Coonfer. Sean’s Captain’s ride came 9 years, to the day, after his First Solo Flight at Langley Airport. 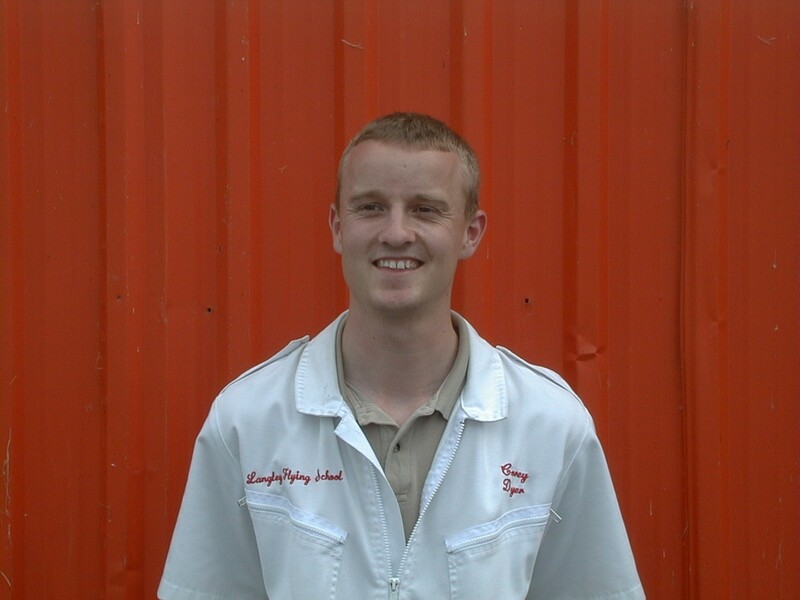 Sean began his pilot training with Langley Flying School as a Pilot Summer Camp student back in 1997. Continuing with his training part-time while a high school student, Sean went on to complete his Private Pilot Licence in November of 2000. Sean became a Commercial Pilot in June of 2004, and subsequently qualified for his Group 1 (Multi-engine) Instrument Rating in April of 2004. He worked briefly as a First Officer with Nav Air prior to moving to CAC. Langley Flying Graduate and Flight Instructor Cullen Worth announced early this week that he has accepted an offer from Ken Borek Air to begin groundschool and operational training as a Twin Otter First Officer. 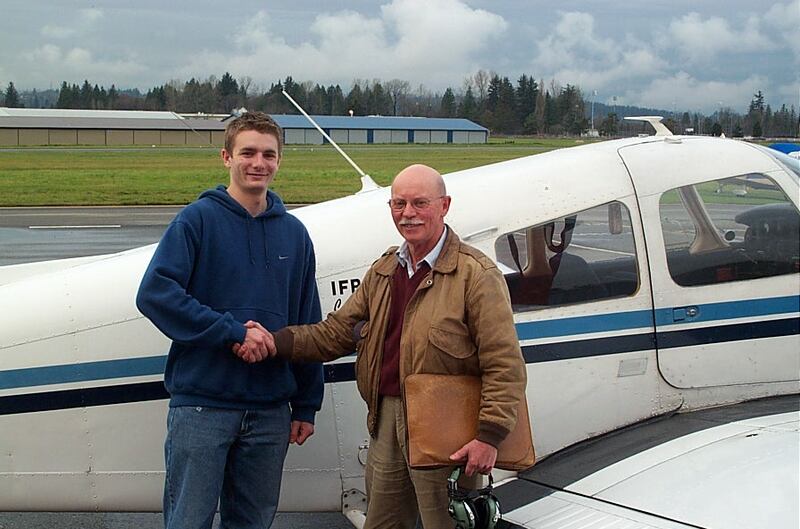 Cullen is the third Langley Flying School Graduate to be signed by Ken Borek in the last six months, following Former Associate Chief Flying Instructor Dave Woolam, who was hired in September of 2006, and Private Pilot Graduate Ryan Van Haren, who has been with the company since the Spring of 2006. Both Woollam and Van Haren are currently based in the Indian Ocean in Borek's Maldives operations. Cullen expects to join Borek's operations in the Canadian Arctic within a few weeks. The move by Cullen marks the beginning of a very exciting phase in his professional pilot career, and the closure of what has been a very successful tenure as a Flight Instructor. Cullen began flying in 1996, and has been a Langley Flying staff Instructor since the spring of 2005. 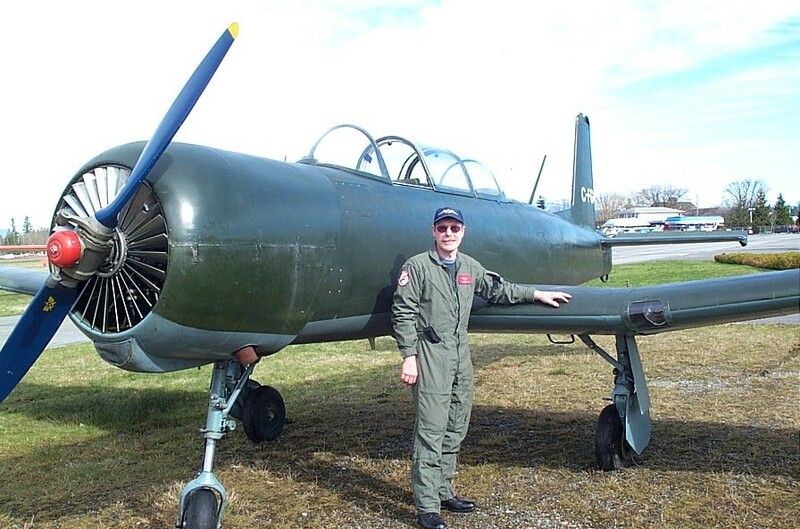 During his final months Cullen took over the senior IFR Instructor position, which witnessed a 100% success rate in his Flight Test Recommendations. He will be missed by all. The duties of senior IFR Instructor will now taken over by Justin Chung. Langley Flying Instructors Ryan Gahan and Ben Orlowski have been picked up by Pacific Coastal Airlines to fly the companies newly expanded fleet of Saab 340s. The news came out in early January, and by the middle of February, both Ryan and Ben completed the company’s groundschool training course. Both are scheduled to be down in Houston in late February and early March to complete the simulator training as First Officers. The hiring reflects both the expansion in Pacific Coastal Airlines, and the heating up of the Canadian aviation industry in general. Somewhere in the neighbour of 15 new-hires attended Pasco’s course, and of these, just more than half were drawn from the ranks of west-coast Flight Instructors. Langley Flying School was the only school to have more than one of its Flight Instructors selected, and this, in turn, will result in a considerable reorganization of student allocation and staff assignment. Cullen Worth moves up into the position of Multi-engine Instructor and Senior IFR Instructor, while Justin Chung will now take on IFR students in support of Cullen. With respect to changes for students, the effects will vary. While many of Ryan’s students were involved in advanced training which is relative short-term, Ben had a sizable slate of Private Pilot and Commercial Pilot students, and many of these have now been re-assigned. If any students have questions regarding Instructor assignment as a result of Ben and Ryan’s move, they should contact the CFI. It goes without saying that both of these guys have been tremendously successful Flight Instructors. While they will remain on the Langley Flying School’s staff roster, it is too early to tell if they will have time for periodic training flight in the future. All will miss them, and we wish them the best. Significant changes have been brought into law regarding the knowledge and flight test requirements for the Canadian Commercial Pilot Licence, effective December 17, 2007—the Groundschool requirements have increased from 40 hours to 80 hours, and candidates for flight test must now have successfully completed the CPL written examination prior to their rides. The change in legislation is also designed to pave the way for the previously stalled Integrated Commercial Pilot Program. The changes will not radically change the Langley Flying School Commercial Pilot Program, which already provides a 100 hours Groundschool course, but the change will eliminate logged self-study credits as all of the minimum 80 hours required must be spent in the classroom. The impact, however, will be significant for CPL student who are getting ready for their flight tests, and their rides will have to be deferred until their written examination has been completed. For more information, contact your Flight Instructor. It is with great pleasure that we recently received career updates from both Corey Dyer and Patrice Gagnon. Both are former Flight Instructors with Langley Flying School, and both are now King Air Captains. 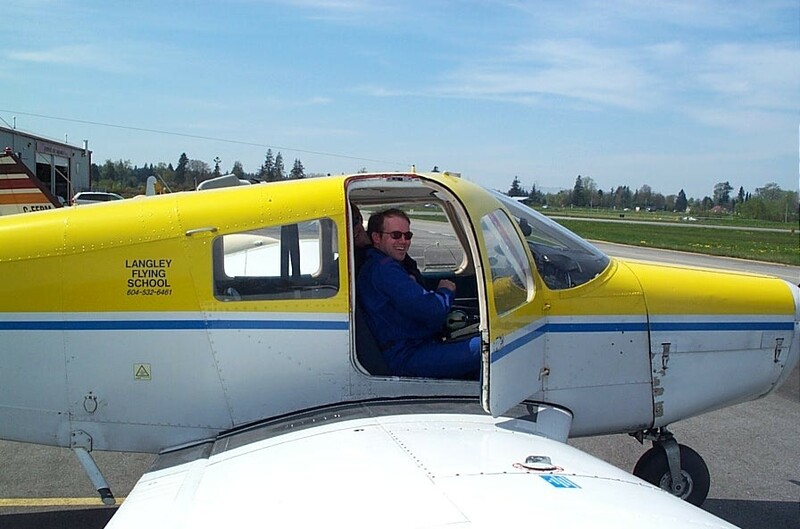 After graduating with a Commercial Pilot Licence from Coastal Pacific Aviation, Cory completed his Instructor Rating at Langley Flying School back in 1998, and joined the staff soon after. Patrice completed his Private Pilot Licence, Commercial Pilot Licence, Multi-engine Class Rating, Group 1 (Multi-engine) Instrument Rating, and Instructor Rating with Langley Flying School, and began on staff back in 2000. Corey is flying the King Air for Little Red Air Service, based in High Level, while Patrice is flying as a medivac pilot on the King Air with Transwest Air in Prince Albert. Oh man, the life of a pilot in the Caribbean! After flying as a Twin Otter First Officer on Windward Islands Airways—Winair—Langley Flying School Graduate Glen Gorrie was recently promoted to the Captain’s seat. 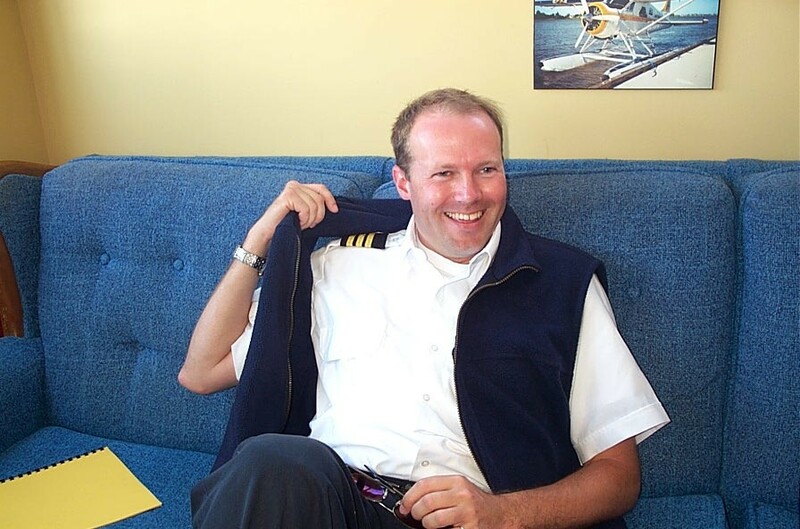 The promotion came through in September of 2006, after Glen’s completion of some two-years service as a First Officer with the company. Winair was founded back in 1961, and today operates a fleet of five Twin Otters and two Britten Norman Islanders from his hub in St. Marten, is based located in the Netherlands Antilles. Glen began flying with Langley Flying School in 1998, completing his Private Pilot Licence in June of 1999, his Multi-engine Class Rating in April of 2000, his Group 1 (Multi-engine) Instrument Rating in February of 2001, and his Commercial Pilot Licence in March of 2002. Practically all of Glen’s training was done with former Flight Instructor Nic VanEmpel, who now flies as with Air Canada , based in North Bay. 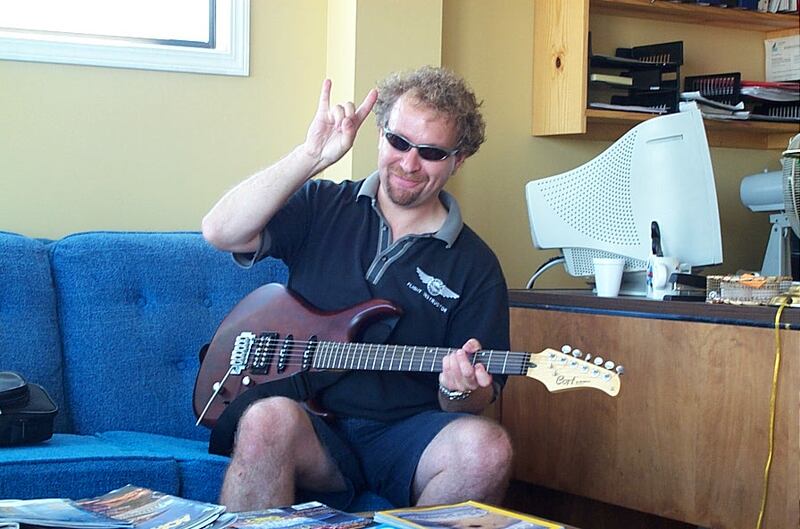 Glen's move to the Caribbean followed his work as a Twin Otter First Officer for two years, based in northern Saskatchewan. I must say, it has been an exciting year for Dave Woollam—after flying Twin Otters with Westcoast Aviation for the spring and summer seasons out of Vancouver Harbour, Dave was signed by Kenn Borek Air Ltd. to fly Twin Otters in the Maldives with Maldivian Air. Operating out of this Indian Ocean island nation, Dave is involved with the movement of some one-half million tourists per year around the 200 or so inhabited islands located about 400 miles south-west of Sri Lanka. After receiving his Multi-engine, Instrument, and Instructor Ratings with Langley Flying School, Dave was a staff Flight Instructor with us, beginning back in 2001, and during his final two years was our Associate Chief Flying Instructor. He left the School in December of 2005 to Captain a Piper Navajo up north, and began flying with Westcoast Aviation in April of 2006. It is with great sadness that we learned in January of Ed Huggett’s death as a result of a forced approach into mountainous terrain during a charter flight out of Tofino on the afternoon of Saturday, January 21, 2006. Ed was at the controls of Cessna Caravan operated by Sonicblue Airways when the engine lost power between Tofino and Port Alberni. Ed was flying at 9000’ when the failure occurred; seven passengers were on board. As all pilots know, a failed engine and powerless flight over a mountainous area is a pilot’s worst nightmare. With his precious supply of altitude running out and likely facing the prospect of descending the aircraft through cloud over unseen and unknown terrain, Ed was successful at keeping control of the dead ship, and he was able to deliver the aircraft’s fuselage and its precious cargo to the earth intact in an open area on a mountain side. Ed’s actions during those final minutes of his life, saved the lives of five people. And while we are in deep sorrow at the loss surrounding this tragic event, we have perhaps solace that Ed’s final gift was the gift of life to the five survivors. Ed began his flight training in April of 1999, completing his First Solo Flight on June 13, 1999 under the guidance of former Flight Instructor, Nicolaas van Empel. Ed completed his Private Pilot Licence in May of 2000, and completed, with distinction, his Commercial Pilot Licence in May of 2001, achieving a score of 95% on his Commercial Pilot Flight Test. Ed qualified as a Multi-engine Pilot in July, 2000, and as an Instrument Pilot in November, 2000. Nic van Empel, who is now with Air Canada , was Ed’s primary Flight Instructor throughout his training. At the time of Ed’s accident, two other Langley Flying School Graduates were flying for Sonicblue Airways, Captain Feras Aboulhosn and First Officer Sean Larkin. A third Graduate, Justin Chung, was training with the company to become a First Officer. Langley Flying School’s Associate Chief Flying Instructor David Woollam has accepted an offer to Captain a Piper Navajo for National Flight Centre of Prince Albert, Saskatchewan. David’s departure marks the end of an era for many of us at the School, as he has been with us for more than six years. He will be deeply missed, to say the least. I think I speak on behalf of both the students and staff when I say that it has been a profound pleasure and honour to have shared operational flight training with Dave. While there is an element of sadness, there is also shared excitement and anticipation for what David’s career will hold for him. Perhaps most important, David leaves with the knowledge that he has inspired his students, and he can no doubt feel great satisfaction in the number of young professional pilots he has launched--for this, he is to be congratulated. Flight Instructors Ben Orlowski and Ryan Gahan have become the first members of the Langley Flying School teaching staff to qualify as Aerobatic Instructors. Ben and Ryan have been training since mid-summer with Donn Richardson, who himself is a professional aerobatic and formation pilot, as well as one of Langley Flying School’s Pilot Examiners. Qualifying Flight Tests were conducted with Transport Canada Inspector Jan (John) Mrazek, who is also a professional aerobatic pilot. Two additional Langley Flying School Instructors, Dave Beales and myself, continue to train with Donn Richardson and hope to qualify in January or February. Commercial Pilot Graduate Feras Aboulhosn completed his upgrade to Captain on the Piper Navajo PA-31-310 and completed his first flight as Pilot-in-command on October 31, 2005. Feras began working with Sonicblue Airways of Vancouver as a First Officer earlier this year, and his promotion within such a short time reflects both the dedication and hard work of this talented pilot, as well as the rapid growth of this very successful air carrier. Feras began his pilot training in February of 2002, and completed his Private Pilot Licence in August of that year. In June of 2004, Feras graduated as a Commercial Pilot with a Multi-engine Class Rating, and in November of 2004 obtained his Group 1 (Multi-engine) Instrument Rating. Congratulations Captain Aboulhosn....we are sure proud of ya!! Commercial Pilot Jayson Dudas landed a job as a Flight Instructor with the Palo Alto Flying Club, based 30 miles south of San Francisco. Jayson began flight training operations mid-September, 2005. The Palo Alto Flying Club is only three miles from Stanford University, and many of Jayson’s students are themselves students and faculty members from that university. Jayson, originally from Lynden, Washington, began training with Langley Flying School in January, 2001, at the age of seventeen. He completed his Private Pilot License in July, 2001, and subsequently went on to complete his Commercial Pilot License in September, 2002. In April of 2004, Jayson completed his Multi-Engine Class Rating in Langley Flying School’s Piper Seneca. After the conversion of his Canadian Commercial Pilot Licence to the American equivalent, Jayson completed his U.S. Instructor Rating in Wenatchee, Washington this summer. Congratulations Jayson, you are on your way! Langley Flying School Instructor Rita Methorst successfully completed earlier this month the last of the written examinations required for her Airline Transport Pilot Licence. The Airline Transport Pilot Licence is Transport Canada’s minimum licensing requirements for Captain’s seat in a multi-crew, and Commercial Pilot applicants must have a Group 1 (Multi-engine) Instrument, a minimum of 1500 hours flying experience, and must complete written examinations on transport category and high-altitude flight operations. Rita began flying in 1996, and has been a Flight Instructor with Langley Flying School since 2000. In addition to flight instruction, Rita maintains her qualification as a Registered Nurse. When her application is processed later this year, Rita will become only the third Langley Flying School Instructor to achieve the Airline Transport Pilot Licence. Commercial Pilot Graduates Manish Marwaha and Mahesh Kaushik were picked up earlier this month by Jet Airways of India to fly as First Officers on the new Boeing 737-800 NGs. Manish began his pilot training at Langley Flying School in June of 2001, and subsequently completed his Multi-engine Class Rating, his Group 1 (Multi-engine) Instrument Rating, and his Commercial Pilot Licence in 2004. Mahesh began his pilot training at the Victoria Flying Club, and moved to Langley Flying School in 2004 to complete his Multi-engine Class Rating and Commercial Pilot Licence in 2005. Both are anticipating approximately eight months of B737 training, in the United Kingdom, as well as in India. When groundschool is completed later this month, they will begin 60 to 70 LOFT training, occupying the jump seat during actual Jet Airways flight operations. This will be followed by simulator training and qualification in London and Bombay. Jet Airways operates a fleet that includes 40 B737s, and boosts 275 flights per day to 43 destinations throughout India. Congratulations Manish and Mahesh! On August 18th, Cory Thickett became the seventh Langley Flying School Graduate to win a British Columbia Aviation Council award for top pilot. Cory is this year's winner of the BCAC's Al Michaud Memorial Bursary, which awards him a prize of $4500 to go toward his Commercial Pilot training. His award will be presented at the BCAC's annual award dinner, to be held in Whistler on October 20, 2005. 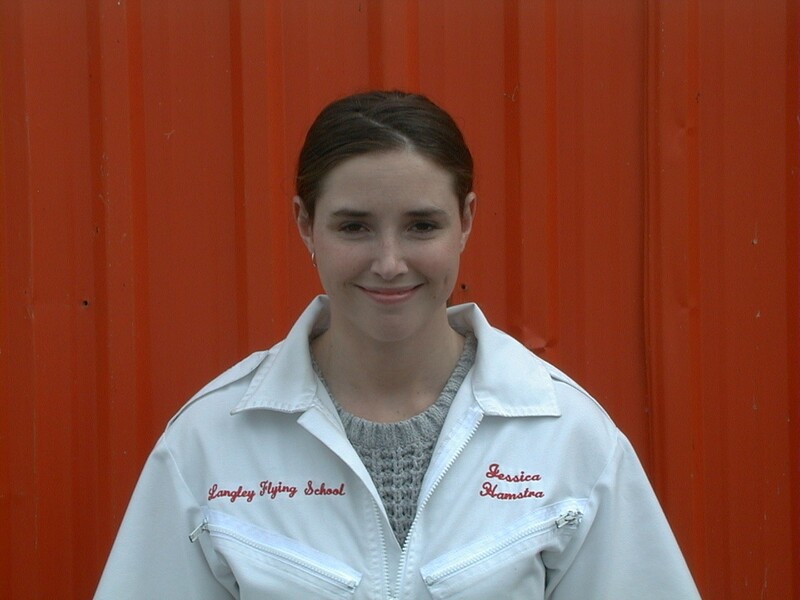 In September, 2004, Private Pilot Student Marney Godkin (now Graduate) won the Anne and Rudi Bauer Memorial Bursary for top Private Pilot Student, and Phil Craig (now a LFS Flight Instructor) won the Jack Ross Memorial for top Commercial Pilot. 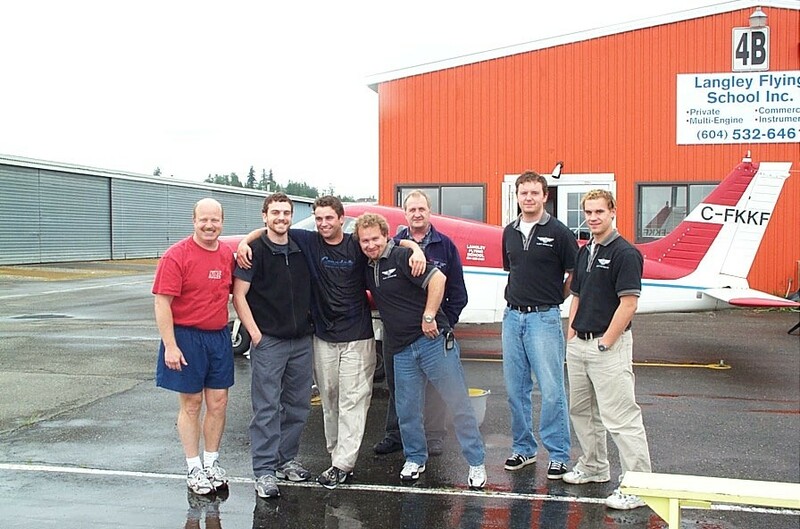 In 2003, Langley Flying School Students Seung Ha Lee (top Commercial Pilot Graduate) and Charles Blackburn (top Private Pilot Graduate) won awards, while in 2002 the awards were won by Luke Howard (top Commercial Pilot Graduate and now Flight Instructor ) and Tim Sawatsky (top Private Pilot and now Commercial Pilot). If you ask young Commercial Pilot Students what they want to do with their flying careers, most respond that they want to fly for WestJet, or that they want to be a bomber pilot with Conair, or that they want to fly with Air Canada. When Luke Howard was a student, however, he was different. When asked what he wanted to do, Luke simply said "I want to fly Beavers." 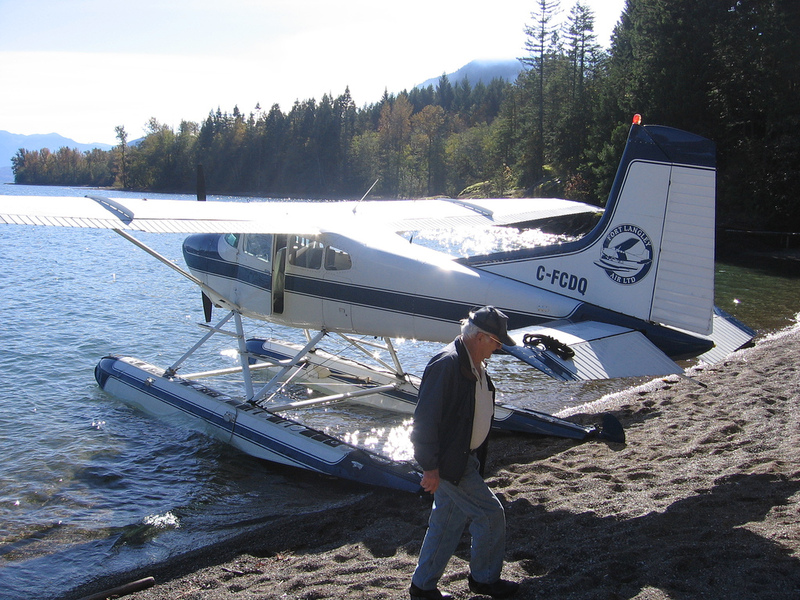 This summer, Luke's wish came true, as he was hired to fly a 1956 DHC-2 Dehavilland Beaver on floats, as a Company Pilot for Fibermax Timber Corporation of Victoria. Luke began his training at Langley Flying School in September, 1999, and completed his Private Pilot Licence in July, 2000. Scoring top marks on both flight tests and written examinations, Luke won the British Columbia Aviation Council's 2002 Jack Ross Memorial Bursary for top Commercial Pilot Student in B. C. Luke stayed on with Langley Flying School to complete his Instructor Rating in the summer of 2004, and began working shortly after as a Flight Instructor and Charter Pilot flying floats with Fort Langley Air. Needless to say, Luke had a great summer, beginning flight operations with Fibermax in June. Are we proud of Luke or what!! Congratulations to Tim Sawatzky, who completed his Group 1 (Multi-engine) Instrument Rating on June 9th with Examiner Matt Edwards. A special word must go out to Tim, who is one of those special students who has worked his way right through Langley Flying School's private and professional pilot training programs. Tim's Flight Instructor, mentor, and friend, throughout it all has been the very talented David Woollam. In the training record of Tim's last review flight prior to his flight test, David wrote "Tim and I's last dual flight. ." Tim is special for us because he was the first student to win an achievement award from an outside agency. In 2002, Tim was awarded the Anne and Rudi Bauer Memorial Bursary as top Private Pilot Student by the British Columbia Aviation Council. Tim must know that he has made us extremely proud of what he has accomplished, and I know personally that he has made Mr. Woollam especially proud. Tim is a completely dedicated young professional pilot, and we look forward to the unfolding of what will no doubt be a promising career! Fly high, fast, and safe, Tim! For those of us who had the pleasure of working with Sheldon Pohl, we know that his dream job, ever since he began flying, was to be a pilot with WestJet. Earlier this year Sheldon's dream came true, as he successfully completed the interview process and was subsequently invited to join Westjet's Boeing 737 Groundschool. Sheldon initially trained at Chilliwack Flight Centre, where he completed his Private Pilot Licence in 1995, and his Commercial Pilot Licence and Instructor Rating in 1996. In September of 1996, Sheldon became the third Flight Instructor hired by Langley Flying School (after Kevin Williams and Micheal Rouch). In 1997 Sheldon completed his Multi-engine Class Rating and Group 1 Instrument Rating, being one of the first students put through the advanced training programs that were, at the time, newly developed by Langley Flying School. In September of 1998, Sheldon received an offer from Skyward Aviation to fly as First Officer on the Embraer EMB-110 Bandeirante in Thompson, Manitoba. Working his way up to Captain, Sheldon stayed with Skyward until 2001, when he received an offer from Bar XH Air to fly as a Captain on the King Air 300, based in Medicine Hat, Alberta. Sheldon's love of flying and his unabated commitment to his students was a feature of his time on staff at Langley Flying School which we won't forget--during his time at Langley Airport, Sheldon sparked many private and professional pilot careers. May his most latest adventure with turbojet airline aircraft take him high and far! He deserves it! It is with a sense of pride that we announce that Brandon Dreyer has accepted the position of Chief Flight Instructor--Fixed Wing with TRK Helecopters Ltd., a new helicopter school that began operations at Langley Airport last winter. Brandon has been with Langley Flying School since he was 16 years old, when he began as both a Private Pilot Student and member of the administrative staff. 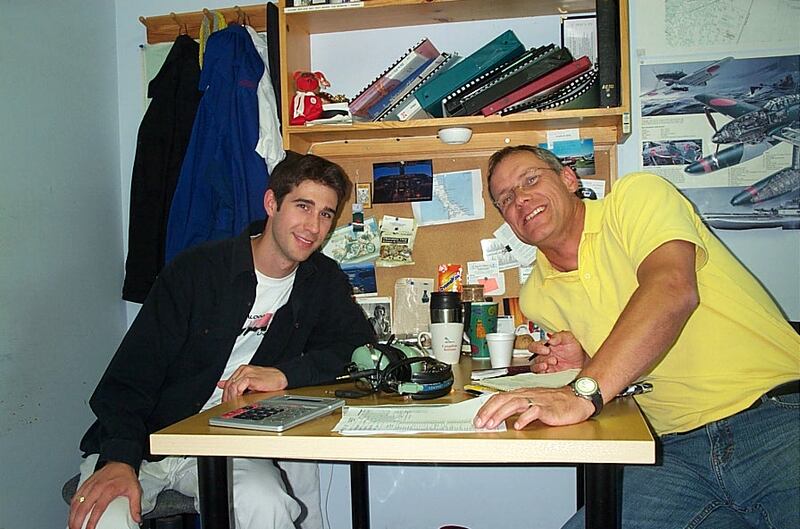 Completing his Private Pilot Licence in 2000 and his Commercial Pilot Licence in 2001. Brandon began as a Flight Instructor with Langley Flying School in July of 2001, and since then he has inspired many students. While he was an Instructor, Brandon completed a Bachelor of Arts Degree from Trinity Western University and his Group 1 (Multi-eingine) Instrument Rating. All of us at Langley Flying School will miss Brandon and the work he has done with our students, but we know that faster, higher, and further lie ahead for him in his career, and we wish him all the success in his new job. Brandon, we are proud of you! It was with great pleasure that we learned that Commercial Pilot Sean Larkin accepted an offer to work as a First Officer with Victoria-based Nav Air Charter, Inc. Sean learned of the company hiring earlier in April, and began operational training on April 22nd. Sean will begin flying the Piper Navajo on one of the many cargo routes maintained by Nav Air. 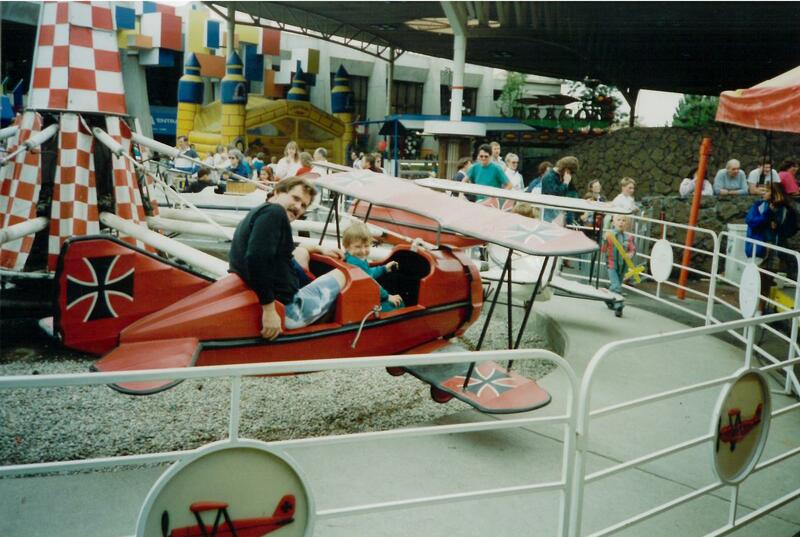 Sean began his pilot training with Langley Flying School as a Pilot Summer Camp student back in 1997. Continuing with his training part-time while a high school student, Sean completed his first solo flight in March of 1998, and went on to complete his Private Pilot Licence in November of 2000. Sean became a Commercial Pilot in June of 2004, and subsequently qualified for his Group 1 (Multi-engine) Instrument Rating in April of 2004. For those of us at Langley Flying School who have witnessed Sean's development and growth as a pilot, we are certainly proud of what he has achieved. Sean has been flying since he was 13 years old, and I can still remember when he appeared as a kid, full of excitement, for his first flight lessons as a Summer Camp student. With Sean's achievement as a Nav Air pilot, we too feel a profound sense of achievement, and, in a way, when he takes off on his charter flights in the Nav Air Navajo, we fly with him. Congrats, Sean! It is with sadness that we express our deepest sympathies to the family and friends of Adam Katagiri. 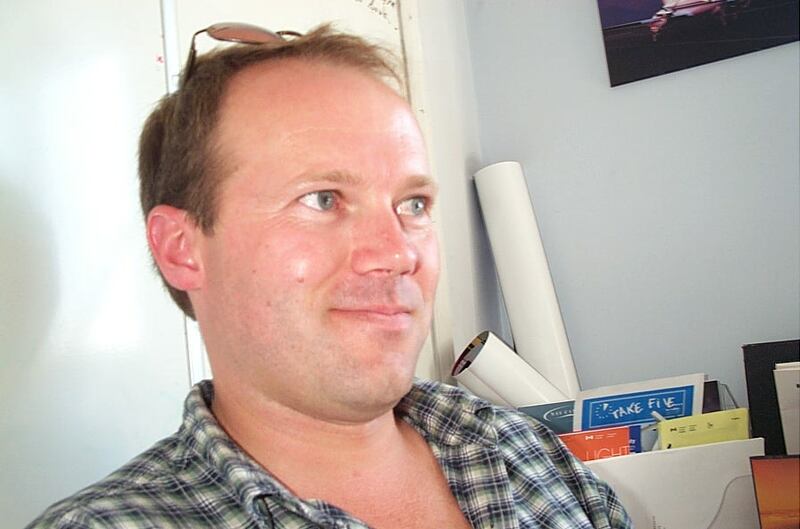 Adam passed on Monday, November 15th in an aircraft accident in Jordon. 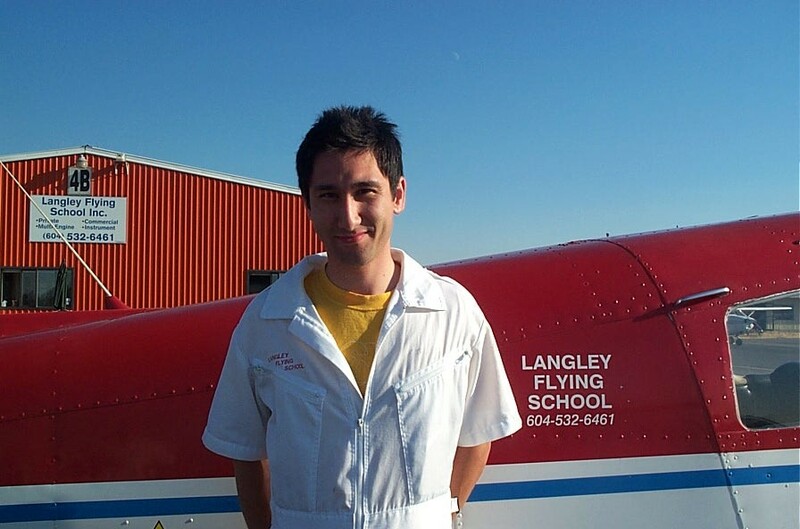 Adam had a passion for life and for flying, and we at Langley Flying School had the pleasure of experiencing Adam’s professionalism as a Flight Instructor, and his warmth and compassion as a human being. 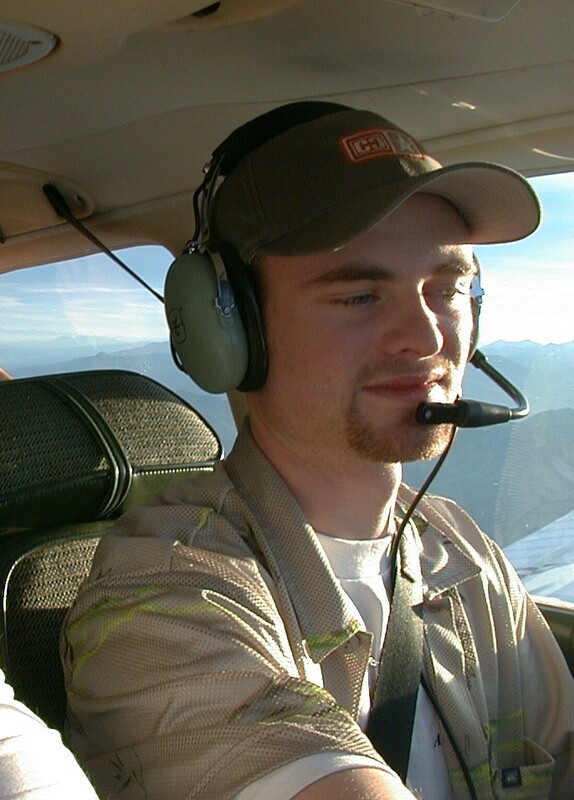 Adam began training for his Instructor Rating in December of 2002, and began as a staff Flight Instructor in April of 2003. In what was to be a temporary leave of absence, Adam left Langley Flying School in September of 2003 to do humanitarian work in the Middle East, assisting victims of civil unrest. While in the Middle East, Adam sought to do some private flying in Jordan, and in the fall of 2003 wrote the necessary examinations to convert his Canadian Commercial Pilot Licence to the Jordanian equivalent. His success in the examination led to an offer from a Jordanian air charter company to fly L10-11 Tristars. Training was completed in the summer of 2004, and it is believed that Adam was awaiting the commencement of flight operations when his death occurred. For those of us who had the pleasure of knowing Adam, we experienced first hand the intense passion and compassion with which he viewed the world--a truly motivated young man, inspired by a loving family. It is with great pleasure that we announce the Private Post Secondary Education Commission of British Columbia (PPSEC) has successfully completed its audit of Langley Flying School for the purpose of accreditation. The results are in and Langley Flying School is now an accredited institution! For those who may not be familiar, accreditation status is required by flight schools in British Columbia in order for the school’s students to have access to provincial and federal government student loans. Langley Flying School had student-loan access up until the summer of 2000, but a change in government policy required flight schools to be accredited after that date. Quite literally, we have been working on becoming accredited since the new requirements were announced in 1999. Like most private flying schools, we simply lacked the surplus administrative infrastructure to manage the pre-accreditation workload on a full-time basis. So for the last two years or so we have been plugging away at it, slowly but surely, evolving our administrative/educational policies and organization to match the standards established by PPSEC. I have personally spent over a 1000 hours on the project over these years. And pivotal in our completion were the solid efforts of Corey Dyer and Jessica Hamstra--both former Instructors with Langley Flying School, both of whom have put many hours into the project. The Audit was conducted on December 6th by Cormac Ward, with the assistance of Sue Williams. Ms. Williams is our appointed PPSEC accreditation officer, while Mr. Ward is a B747-400 pilot with Air Canada, and has previously flown with Central Mountain Air and Kenn Borek Air. I am personally grateful to the many students and graduates who took the time to attend the meetings conducted by Mr. Ward and Ms. Williams. Without their participation, the audit would not have been a success. It is with considerable pleasure that I announce the appointment of David Woollam as Senior Flight Instructor. 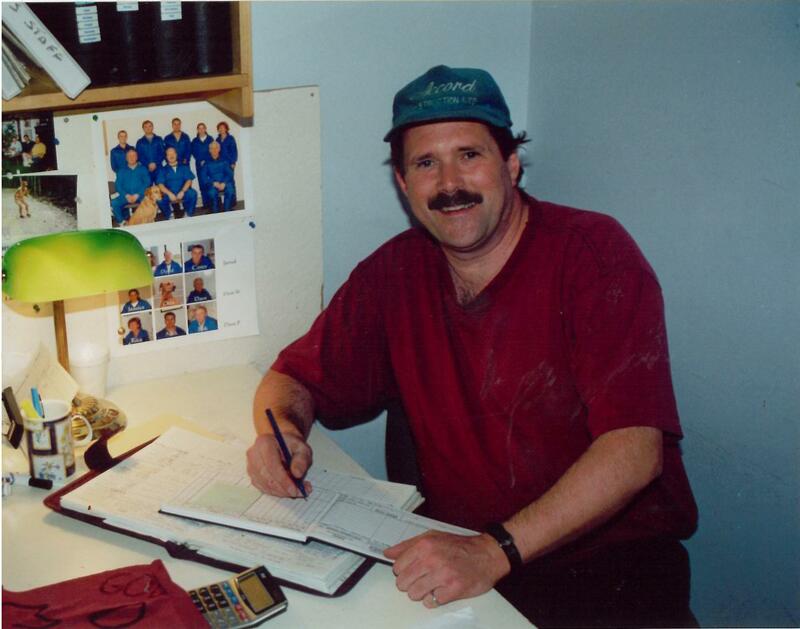 David has been with LFS since 1998, and originates from Drayton Valley, Alberta. As the Senior Instructor, David will participate in the supervision of training operations, oversee the Initial Groundschool, and conduct student Checkrides for first-solo and flight tests. We are pleased to report that we will have successfully completed the conversion in the Seneca’s IFR GPS from the KLN 89B to the new KLN 94. The test was supervised by Bill Baine and Daryl MacIntosh of Maxcraft Avionics (Vancouver). We are really pleased with the new display and architecture of the KLN 94. The screen is a colour display, and includes a land-data overlay. Honeywell has also introduced a fast-track “procedures” button which essentially eliminates the comparative complications of loading an approach on the old KLN 89B. I am pleased to report that significant strides have been made in LFS’s effort to regain student-loan status for our students. As you may be aware, changes in the Provincial Government student-loan policy required, effective August 1st, 2000, that all British Columbia flight schools be accredited by the Private Post-secondary Education Commission of B.C. The accreditation process is a detailed and comprehensive endeavour requiring structural reorganization, self-studies, surveys, meetings, and the creation of internal policies and procedures that conform with PPSEC standards for education administration. LFS has, of course, long met the education administration requirements of Transport Canada, in accordance with the Canadian Aviation Regulations. The requirement by the Provincial Government for PPSEC accreditation has essentially added a second layer of administration regulation, procedures, and standards. PPSEC accreditation has required in excess of a thousand-hours of dedicated work by our staff, and we are pleased to announce that the first draft of our self-study (some 26 pages, containing 39 appendices) was submitted at the end of July. We have since had useful comments and guidance from Sue Williams, our PPSEC Accreditation Officer, and we hope to submit our second revised draft this week. When the Self Study is approved by Sue, arrangements will be made for a comprehensive audit of LFS by a committee appointed by PPSEC. If all goes well with the audit and accreditation is approved, LFS can then apply to the Provincial Government’s Student Services Branch to re-establish student-loan access. I will keep this web page updated with the latest in developments regarding this project. In response to the tragedy that occurred on September 11th, restrictions with respect to Canadian-aircraft access to U.S. airspace continues. An ATS flight plan is required for all VFR Canadian general-aviation aircraft flying across the border. The passengers must be “known”, and the pilot must be in communication with the governing ATC unit at the time of crossing—this implies that the aircraft must be equipped with a transponder. Be sure you contact FSS before making the flight for the latest in details. As everyone departing from an airport in the Lower Mainland continues to be aware of, the airspace used for flight training on the Canadian side of the border is extremely crowded, as the 15 or so vicinity flying schools cope with the restriction on VFR crossing of the U.S./Canada border. There is not a lot of usable airspace between the Vancouver Terminal Control Area, the Coastal Mountains, and the U.S. border. We hope that the restrictions are only temporary, and in the meantime—extra “heads-up” everyone. I take this opportunity to express my appreciation and best wishes to Jessica Hamstra and Corey Dyer. Jessica and Corey have been prominent members of the instruction team here at the School for in excess of three years. It has been a true pleasure for me to work with these two very talented pilots and instructors, both of who have made very significant contributions to the School’s evolution and development over the last few years. They shall be deeply missed by their colleagues and students here at the School, and I wish them the best as they move on to bigger and better things in their flying careers.